These rugged, steel enclosures have been designed to conveniently combine all of the major components for a high power renewable energy system in one seamless, pre-wired unit. 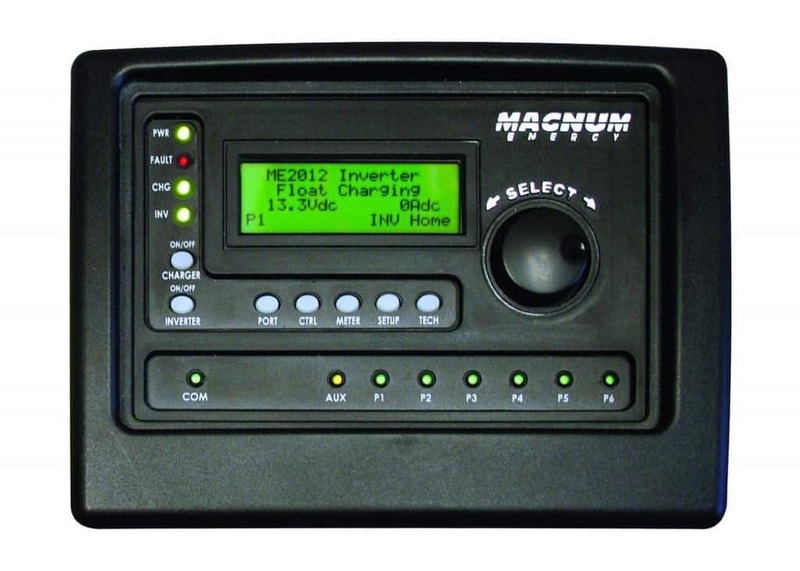 Magnum Energy's convenient front panel design allows you to set-up, monitor, and operate up to three MS-PAE inverter/chargers with the optional ME-RTR router. 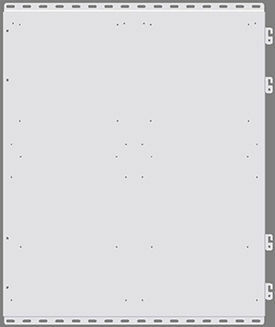 All of Magnum Energy's enclosure panels are UL and CSA certified for code compliance. 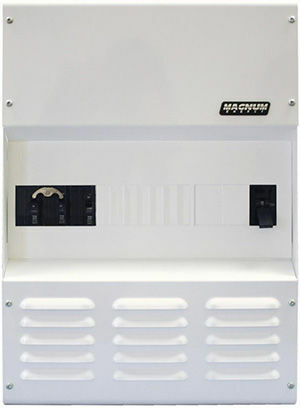 Magnum Energy's MPSH-30D high capacity enclosures feature a full system bypass switch, allowing for a convenient way to isolate the inverters for battery maintenance. 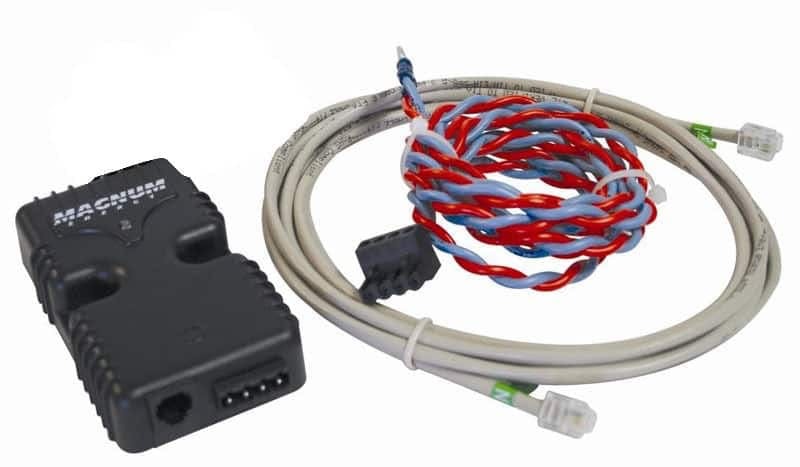 Accepts 120VAC or 120/240VAC output wiring. 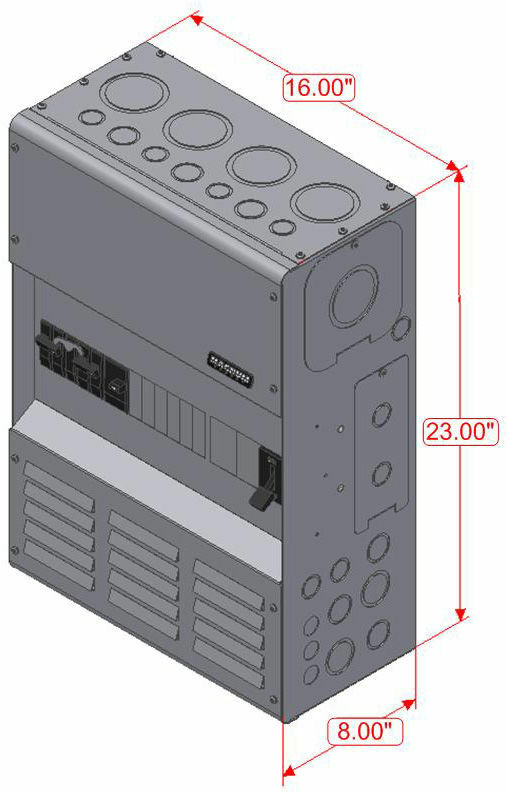 Dual 30A AC input breaker. Dual 30A AC output breaker. Dual 125A AC bypass breaker.